The bathing suits we kids wore for the swim team each summer were always Speedos. They were made very well, damn them. Well enough to be passed down from sister to sister to sister infinity, much to the chagrin of the youngest and smallest who, as previously mentioned, had to adjust the back straps with footwear accessories. The Speedo has... well... evolved over the years. I have bought a few here and there for myself and for my kids. But never for my husband. Speedo represents a style of men’s bathing suit that leaves nothing to the imagination. I generally prefer to imagine, thank you very much. But there are exceptions to that rule. Last night, I watched Michael Phelps bust the world record for the 400 meter IM. I turned it on just as the starting gun rang out beeped (? Whatever). The kids and I cheered madly as Phelps worked his magic. What beauty in motion! After the race, I looked forward to the requisite poolside interview. I relish the chance to ogle this specimen. Who doesn’t? There is no body finer than that of a male swimmer. Yum. For a million dollars, I could not tell you the color of Michael Phelps' eyes. Can you? I can, however, describe his lower abdominals in detail vivid enough for a police sketch artist. And the bathing suit pants, ye gads! I could not tear my eyes away from the looooooow waistband, which seemed perilously close to failing in its mission to contain Mikey’s junk. One would think that by covering more skin, the bathing suit pants would leave less to the imagination. Oh, but would one ever be wrong! After the women swam in their unitards, the network showed a little feature on how the swimmers get themselves into those Fastskin suits. This is not for the feint of heart! It’s like spanx on steroids. Imagine how good I’d look in all of my clothes if I wore one of those as an undergarment? And no straps to tie together with a shoelace! Ellie and I grew up in a family that enjoyed the culture of the dinner table. When we were kids, everyone had an assigned seat (Jane and I got the stools in the middle because they ran out of love chairs after the first 4 girls). We had quizzes on the state capitals, and we each had an opera whose characters and story were ours. Mine was Rigoletto, and the tragically loyal Gilda. My kids do not have an opera, but they do enjoy a good meal. However, they are speed eaters and my husband and I are shamelessly content if they flee once the eating part of the meal is over. Whenever Ellie and the Mistah are here, we tend to make a big production out of dinner, and we try to engage the kids as much as possible to prolong our time together around the table. A tradition that evolved from this premise is what we call: “High Point, Low Point.” The rules are simple. You go around the table, and each person tells the highest and the lowest point of their day. Ellie and Bill are very strict about the rules, you have to pick one thing for each category – and I can just see Bill saying “Your low point doesn’t have to be bad; it’s just the least great part of your day.” If your low point is pretty good, that is a D-A-Y. Pity the fool who interrupts before you are done with your bit, although you are encouraged to be as succinct as the attention span of the youngest person around the table can tolerate. So, the 3-way for this weekend is simple. In the 24 hours prior to reading this excruciatingly long introduction, give us your High Point and Low Point. Join the fun in the comments, peeps! 4:00 am, standing in the yard singing: "go poop! go poop!" while she stalked my ankles with lethal intent. Right there next to our house? (And by the way, what a sweet, bucolic little 'hood, don't you think?) Well, yesterday afternoon, our Westy started making a terrible noise. A terrible, horrible, transmission noise. An expensive, tragic, NOW-what-do-we-do torque-converter noise. Sigh. With the BEEP-beep, BEEP-beep noise that kept us up in the night? Well, it turns out the King of the Cranes is a friend of ours. A wonderful, lovely, brilliant friend of ours, who heard about our plight, and yesterday turned the crane's horn down. He got his electrician to actually turn the volume down, and then actually faced the horn downward, instead of outward, over the river, into our bedroom window. This morning, when the sun came out, we heard a tiny BEEP-beep in the distance, like a whisper on the wind. Like a lullaby. As I was driving home earlier today, I saw one of those large digital freeway billboards displaying a “July 1, hands-free calling, it’s the law” reminder. So what exactly is the point of this law? It seems to miss the mark on so many levels. Is prohibiting the use of hands while talking really going to cut down on accidents? Does it actually need to be legislated? Do we really need more rules?? Some people, or course, would say, “Hell yes,” but c’mon, if we’re going to outlaw using a hand-held cell phone while driving, we should also think about stopping some other activities commonly carried out while driving. Let’s take, for instance, eating. Have you ever noticed how many Americans eat in their cars? I often times check out everyone passing by while I’m stopped at a light, especially if I’m the first car at the light (sort-of my personal version of a “reality show” because I no longer have cable). It’s amazing how many people you’ll see eating, especially if it’s around noon. It’s gross, really. And although we can probably all get a French fry to our mouths without crashing a car, eating a meal while driving can probably be considered “distracting.” It requires you to reach in, get what you need, add any condiments if necessary, then take care not to drop anything on yourself while getting it into your mouth, all while still driving your car. When you think about it, isn’t eating a meal while driving harder than talking while driving? Or what about driving with kids in the car? Have you ever had the occasion to do this? It can be incredibly distracting. I sometimes feel like I’m turned around dealing with situations in the backseat for a good portion of the drive to and from my daughters’ schools. Perhaps we should start thinking about outlawing driving with minors? And let’s not forget smoking. Here is California, and in more and more other states across the country, we’ve banned smoking in public places. (I have to admit, I love this law, even if it’s completely contrary to the point I’m trying to make in this post.) So where do people smoke these days? Well outside, at home, and in their cars. It’s a non-public space in which smokers can puff away, guilt free. Well that’s fine, but please note that first the cigarette must be lit, then must be held during the duration of the smoke. The smoker must also flick the ashes and periodically check to make sure the cigarette has not burned down to the nub and is about to scorch his finger. If so, the cigarette must be put out. I’m not sure of the genesis of those built-in, push-in lighters that come standard in cars. 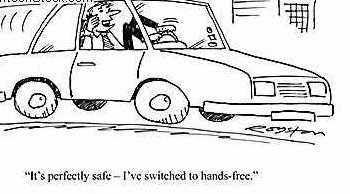 Was the addition safety-related, or just an attempt by car makers to make the in-the-car-smoking experience more convenient? The latter, I think. Ironically, these cigarette lighter sockets have now become car adapters, used to power up mobile phones and other devices, which just goes to show you that although times may change, people are always going to do other things while they drive. It's human nature. The great thing about living in a house instead of a Westy is all the room. All the room divided into rooms. A house full of rooms. One of the coolest little rooms in our new house is the sunporch. It’s in the back, on the eastern side of the house, and gets saturated with morning sun. (Well, not THIS morning; there IS no sun). Like the front porch, the floor tilts downward, from the house to the lawn. I think it was enclosed later in its life – it probably started off as an open porch, tilted down so the rain could drain off. It’s weird and wacky walking out there, on that slanted floor. It messes with your balance, and you never quite have a hold on your equilibrium. Which makes it, naturally, the perfect place for the bar. We had boxes and boxes of bottles of booze (boxes of bottles of booze: sounds like a Dr. Seuss title) stored in Bill’s Mumsie’s basement the last 7-½ years. I don’t know where it all came from. I know we inherited some from Himself – our landlord-turned-tenant – when he died, back in our house in Fairfield. The rest just got accumulated along the way. And we also have lots of cool, bright, colorful stuff from the Caribbean and Mexico, also waiting patiently all those years to see the sun again. Speaking of which, and because I am utterly brain dead after all the festivities last night, celebrating our friends’ 10-year-anniversary owning and running the Tavern (Thanks P&M! What a blast! ), I leave you with Bar Talk much more clever, witty and sensible than anything I can come up with. It’s a column from yesterday’s New York Times’ food section, by Mark Bittman, who approaches the mixing of cocktails as he does making a pasta dish. Really. And now I’m going back to bed. Last week, I attended an end-of-the-school-year party with a group of likeminded moms who were celebrating our summer reprieve from the daily grind of packing lunches and rushing our grumpy trolls through breakfast, into clothes, and out the door for school. Never mind that one of my children goes to year round school and I still have a month of drudgery ahead of me, I say yes to parties. We gathered on the rooftop deck of a bar at the beach. It was a beautiful evening with a big bright moon. Everyone was smiling and talking and laughing, lots of great women were there. I left my purse in the car, but wore my jean jacket with the big pockets so that I could bring my camera. I took only one photo that night. Was it the sunset over the ocean? The smiling faces of my friends? This give me hope for humankind. 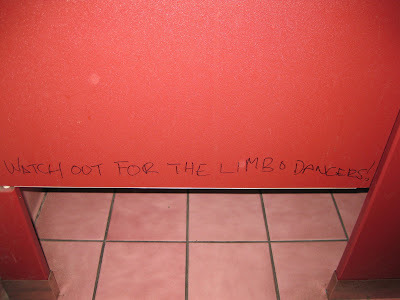 I am not obsessed with public toilets, contrary to what you might think after you realize that of the 17 posts I’ve written so far for this blog, today's is my 2nd one on the subject. Ellie recently gave me props for the fact that I penned her “go-to post about toilets”. Lord knows we all need one of those in our arsenal. So I offer this little vignette to you, my darlings, and invite you to make it your go-to post about toilets. I know, I know, we’re all busy these days, but you have to admit that my week, last week, was pretty impressive. It was so full of activity that I sometimes became a little forgetful. Take for instance the birthday card I so lovingly wrote for Jacquie’s girl’s birthday. I also forgot about my poor kitty the other night. He’s little and curious and can fit almost anywhere. It's a good thing since I mistakenly shut him in here, over night, all night. Someday, hopefully soon, I’ll become the organized person I used to be. But let’s not put a time frame on it, okay? Because who the hell knows what I’ve got going on this week…..
We had the world’s most ideal cooler. It was a Coleman Oscar, and it was the very manifestation of Cooler Perfection. Oscars have little round calendars on their bottoms, declaring when they were made, and our cooler was brought forth into this world in something like 1982. It was Mistah Schlecka’s cooler when we met, but I adopted it as my own. Besides being the, well, the perfect beach cooler, we’d bring it on vacation with us when we had real jobs and flew places. We took it to St. John – where my sister Julie lived – many times. Groceries could be exorbitantly priced there, so we’d pack the Oscar up with freezer packs and frozen steaks and chicken, wrap the whole thing up in packing tape, check it as luggage, and put the still frozen stuff in the freezer when we arrived. In 2001 we quit our jobs and took off in our Westy, and Oscar was our faithful companion. But then in 2005, while visiting us in our Westy in the Florida Keys, our so-called friend Matt dropped poor ol’ Oscar and the handle broke off. It was sad, but not tragic. We just filled him up with beer and ice and carried him, under one arm, to the beach. Well, Mistah did. He’s got wonderful grace and coordination and can easily jump on his bike with a cooler full of beer under his arm. After a year or so of good life and devoted service as a no-handled cooler, we realized that the bottom of the Oscar had cracked, and was leaking. I’m as sentimental as the next guy – and I love this cooler – but a cooler that leaks is no longer a cooler, but a plant holder. No worries. We’ll put him to rest and get ourselves another Oscar. We went to Target. We went to Benny’s in New London. We went to the dreaded Wals-Market. And the realization finally dawned on us: they don’t make Coleman Oscars anymore. But hey, it’s 2006. Why was ebay invented except to help people like us get exactly what we need to restore our happiness? We found Coleman Oscars on ebay, all right. The cheapest one was going for something like $35. Plus $14 for shipping. Suddenly we’re talking about a $50 cooler. Which is over 20 years old. 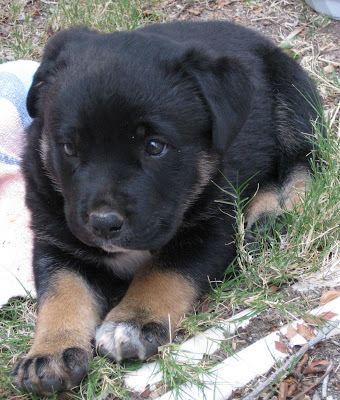 Despondent, we realized we were going to have to – gulp – buy a Playmate. We went to Milford for the hand-off. (And while we couldn’t actually saint our friend Bobby, we could at least give him a 12-pack of Harpoon). And now, with our new Oscar (born 9/1983), our lives seemed complete. Our first stop in Alpine was always the thrift store right when you get into town. It’s a pretty good thrift store: it enabled us to successfully stock our cabinet with a motley collection of wine glasses over the course of our 4 months in Fort Davis. And for $2.50, I grabbed it. A perfect Oscar set! Mistah doesn’t think I should actually call the little guy (a young ‘un, born 12/1996) an Oscar because the cooler doesn’t say Oscar, just Coleman. But you know what? He can just try to stop me. Our lives were now fully complete. I mean, we’ve just about attained Nirvana at this point. A perfect replacement Oscar, plus this little six-pack (i.e. short stay at the beach) version? What could possibly be better? What could be better is Bill went to his Mumsie’s neighbor’s pre-yard-sale sale last week. And guess what he saw? For the combined total price of $3. The Oscar was born in 9/1983 (same as his twin, from Bobby). The Lil’ Oscar in 5/1982. Pretty great, you’ve got to admit, for 25- and 26-year-olds. 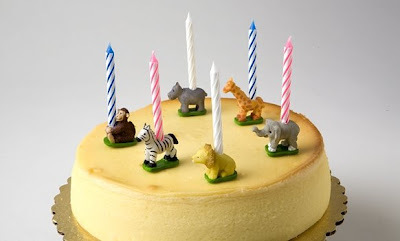 Thinking so much about a certain little someone who turned 7 yesterday, I've been thinking a lot about my own 7th birthday, and birthday party, and realized I can't remember it. Nor can I remember my 8th birthday party. I do remember my 9th, because of a classic photo my Dad took of me in my little blue-and-white polka-dot coolat/tank-top one-piece number, with my hair in a bun on top of my head, just about to blow out my candles, but of course that photo is buried in a box somewhere. So never mind. What I remember, though, is the pure joyous excitement of those birthday parties. My birthday's around Labor Day, so it was always that bittersweet end-of-summer, but exciting-beginning-of-school-year (I know, I know: geek) time of year. We'd either go miniature golfing or bowling, and go to John's Best Pizza afterward. I always invited a collection of girls from both my summertime life, and my school life. I was the princess for the day, the center of attention, I got to bask in the love of my pals, and there was just no better thing than a birthday. Well, except for my 6th birthday. I got the perfect yellow dress. It was kind of fitted in the body (i.e. a straight shift), with pleats at the bottom which, of course, flared out when I spun around. And, it had a belt. It was fab. It was perfect. My mom gave me a strawberry popsicle since I was, you know, the birthday princess. I guess I was less than well that day, because I barfed that red popsicle all over that fabulous dress. Which I then had to change out of. Which ruined my day. And somehow ruined the dress forever. And I've never gotten over it. And I've never worn yellow again. I think most people’s memories of their childhood birthdays run together, become blurred in some festive mix of cake, sticky faces, and ripped wrapping paper. Mine certainly do, except for my 5th birthday. I remember my 5th birthday, but this may be, at least in part, because it was heavily photographed and partially video taped. It was also a year that I had an actual birthday party, which was not an annual occurrence in my household. Another thing that sticks with me is my nifty birthday outfit. It was May of 1973 and I had on a brand-spanking new white skort with a yellow and pink dove pattern. I had a matching, very feminine, yellow T-shirt. I was looking good, which was important, because John Sokolowski was invited. I had a small crush on him, you see. But interestingly it’s little Paul Radcliff’s gift that I remember most – a barrette set from Mac’s, the town’s only drug store. I’d seen the set before in there, it being the only place for miles that sold any toys or other gifts, but I loved the barrettes. They were so girly and nice, and so perfect with my birthday outfit. Did Paul have a crush on me? In stark contrast to all the frosting above, the party’s game portion (at least the only one that I can recall) consisted of one of us kids standing at the top of the backyard “shooting,” one-by-one, all the other kids as they walked up the hill. After you were shot, it was your duty to enact the most theatrical death you could muster. This portion of the party was video taped, and seems to go on and on forever during playback, but it’s funny. Very funny. Watching a bunch of 5 year olds pretend to die sounds macabre, but it’s not. It’s just plain silly. One birthday that I do remember is my 19th. That was more than half my life ago (barely more, damn it), so it should still count as childhood. Ellie and I were in month three of our cross country trip. We drove the hell out of this country, camping or invading visiting homes along the route. On my birthday, we were in America’s Finest City itself, and it was determined that the best way to celebrate the anniversary of the birth of this angel was to take her to Tijuana. It was a relatively calm affair, compared to the experiences I had with Ms. Tj after I moved here. We went to a restaurant with friends who knew their way around, and it was all very mature and refined. And then the whistle blew. Anyone who has reveled in Mexico knows what that whistle means. It makes me gag a little just to think of it! The whistle means that some unlucky fool is about to be accosted from behind by happy Mexican terrorist armed with tequila in one hand and sour mix in the other. It’s a shaken margarita, and the vessel for the shaking is your mouth. So they squirt these toxins into your maw, and then cover your mouth with one hand the other hand grabs the back of your head and they SHAKE YOUR HEAD to mix your drink, and then you swallow. If I had more time, I would find a you-tube of this for your viewing pleasure, but I have a more wholesome event to go host. There are a few things you might like to know about my girl. And my girl has a very odd way of cleaning and organizing. She categorizes things in unexpected ways. In her wallet, each denomination of money is stored in its own seperate place, including the coins. She can't be bothered with details like where she'll sleep when things can be lined up this nicely! I don't know where she gets that. I bought a shoe rack at Ikea a long time ago because I had to have it. It was exactly what I needed to line up organize all of my shoes! It has remained in its Ikea box for the better part of a year now, and I recently shoved it next to the bookcase in my girl's room. Yes, those are complimentary return address labels from the Humane Society. My girl says that she does not like princesses. When asked what she does like, she said: "Barbies. And Jesus." She doesn't even play with Barbies! I can't say for certain whether or not she plays with Jesus. My girl likes Hannah Montana. She thinks her big hit is called: "The Basketball Worlds". She has a Hannah Montana poster in her room, and just tonight she taped a paper onto the poster that says "I love you." She said: "I love her singing. And I love her as a friend. But she doesn't know me." My girl gets busy with projects as soon as she's done with her morning meal, which she calls "breh-fixed". Yes, that is a skateboard ramp she is using as a desk to tackle unfinished pages in her 1st grade math book. My girl is a hard worker, but she also plays hard. I've had her in my heart since the first flutter, and it's been such a happy adventure to grow up with my girl. Her disposition and her actions teach me about tolerance, and generosity, and sheer unadulterated joy. 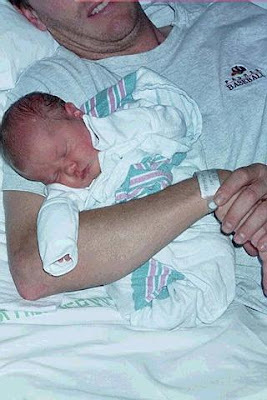 She has been a wonder to behold from the first moment we held her, seven years ago today. Happy Birthday, my sweet baby girl! Not long ago I was at my daughter’s school for some sort of lame YMCA recognition dinner and awards ceremony. It was a meal that (the late) Dr. Atkins would sneer at, a “Hawaiian” meal that covered all of the important carbohydrate groups: macaroni salad, sweet bread rolls, and white rice. (retch.) But there was a silver lining -- each of the attendees received a miniature Jamba Juice. And in each small cup was one of those fabulous paper drink umbrellas. I know, I know, these are not environmentally conscientious, not in the least. Completely anti-green, in fact. But I love them. And I had forgotten that I love them. While I sat there looking at the lovely little cup it came to me why I have such an affinity for the paper umbrella. It was the drink monkeys of my childhood. I grew up in a very small town. And when I say very, I mean it, very. There were perhaps 500 people in my hometown. There was no gas station, no movie theater, no laundry mat, no pizza parlor. There was certainly no Sea World, world-renowned zoo, professional baseball team, or child-friendly science center; the fun that you had, you had to create yourself. I was fine with this, I knew nothing other, but it did mean that when you did something out of the ordinary, it stuck with you. It was a big deal. It was special. What we did, probably only a handful of times, but which I remember well, was drive 25 minutes to Auburn, the nearby “big city” (current population, 28,574) to dine at The Meadows. I don’t have perfect recall of the food at The Meadows, but oh how I remember the drinks. My brother and I were allowed to order soda, which we never got at home, and the soda came in a real glass, a real highball glass. Coca-cola in a real glass, this was special. But far more sensational was the mirthful monkey hanging from the top. 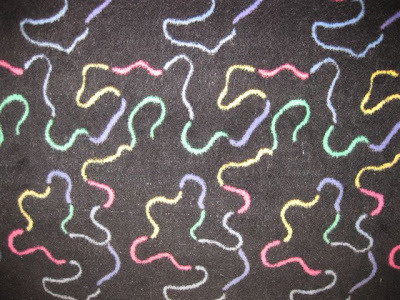 Do you remember these? I swear that the only color available at The Meadows, perhaps in the world, in the mid-1970s was brown. But we were ecstatic with brown. 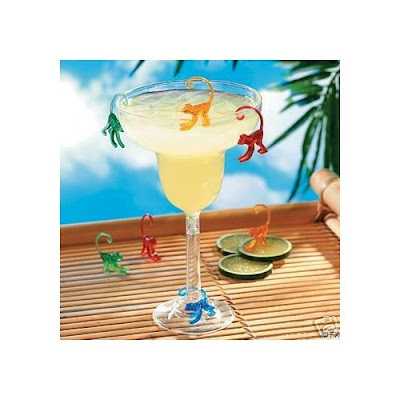 We adored the little brown monkeys hanging from the rim of the glass by their tails. We lovingly brought these monkeys home with us. But of course not until after we had stripped them of the maraschino cherries that those kind, kind waitresses at The Meadows had shoved onto their front limbs. Ever since the night of the awards ceremony I’ve been nostalgic for The Meadows’ drink monkeys. I’ve been looking forward to waxing poetic about their lack of popularity and near extinction. But guess what? It seems that other folks are missing my monkeys too, because I spotted them this past weekend. In Target. In the 1$ bin, no less. Yes, it’s true. It appears my nostalgia for drink monkeys is not unique, just your strip-mall variety. But even though my sentimentality for drink monkeys is not singular, I’m happy to be reunited with them, even if they are now brighter and sold with lots of other crazy drink animals to satisfy the general mania of the times. This particular primate is now hanging out (pun intended) on my desk. But soon, very soon, I’m going to take him home to hold the orange in my Hoegaarden. It’s a benign enough question. We’ve got a little box right over there on the right-hand side of our blog, where Jacquie, Beth and I – all enthusiastic readers – can report what we've got going on. It took me forever to slog through I-can't-even-remember-the-title, so that title sat there in that little box for ages. Embarrassing, really. But then I tore through 2 books in 2 days – Skeletons at the Feast by Chris Bohjalian and The Cure for Modern Life by Lisa Tucker – and all felt right with the world again. And yesterday I started Eat, Pray, Love. I know! It is, in fact, all it’s cracked up to be. As everyone knows. Lots of times a book will make its rounds among my sisters, mom, friends. Everyone’s reading it. It happened with The Kite Runner, with The Dive from Clausen’s Pier, with Water for Elephants (well, except for Mom, who didn’t like the title, and didn’t like the cover), with A Million Little Pieces (which, despite the fallout, was still a great read). Everyone read Eat, Pray, Love last year, and I missed that particular boat. But now I’m on it. And I love it. Anyway, at the risk of posting when I should be emailing, or, emailing when, oh, never mind. I need a summer reading list. I always have a list going. 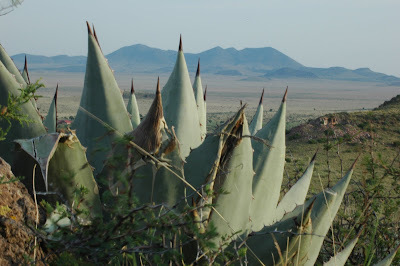 In the Fort Davis and Alpine TX libraries this past winter, I looked for the books on my list constantly, hoping, well hoping the libraries would actually GET some books in. But somehow those books now seem like yesterday’s news. I need NEW books to put in alphabetical order in my excel file. It’s summertime. I need a stack of library books on my bedside table. MB, I remember a recent email when you maybe stopped at a park on your way home, or on your way back to work, to finish a touching or poignant or devastating novel? I saved the email, natch, but didn’t mark it, so will never be able to find it in my jumbled inbox. Jane, what’s the name of the book you (and Mom) just read, by the guy from La República Dominicana? The Gathering, by Anne Enright, is high on my list. That’s a good way for a boy to meet a dog. It’s an even better way to get acquainted with the most enchanting debut novel of the summer. Written over a decade by the heretofore unknown David Wroblewski and arriving as a bolt from the blue, this is a great, big, mesmerizing read, audaciously envisioned as classic Americana. Absent the few dates and pop-cultural references that place the book somewhere in the post-Eisenhower 20th century, its unmannered style, emotional heft and sweeping ambition would keep it timeless. I mean really. How can you not put this on hold at the library today? Patricia, I depend on you for non-fiction titles. And Renee, you always recommend great reads (books already read: another blog post for another day). And now, I've got to go. Liz Gilbert is calling me . . .
Today is the first day of summer vacation for exactly half of my family. My boy and I are in the sad, bereft half. He has four more weeks, I work year round. Depending on your point of view, my husband and kids are either lucky or unlucky that Daddy is a teacher and also has the summer off. On the lucky side, no one has to go to day camp and everyone (except me) gets to spend all sorts of quality time together. On the unlucky side, no one gets to go to day camp and everyone (except me) has to spend all sorts of quality time together. 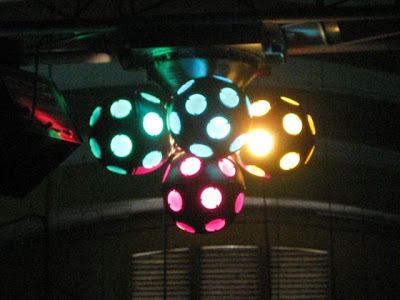 When I was a kid, summer meant one thing: The Club. The way I remember it, we were brought there at daybreak and forced to stuff all of our hair into bathing caps and then break through the ice encrusted pool for swim practice. At sundown, we were dragged from the balmy oasis and forced to return home. Unless there was a pool party and we got to stay late. Swim practice was tolerable for a couple of reasons. If you were on the swim team, you got a new speedo every summer. Unless you happened to be the youngest of 6 girls, then you got a new OLD speedo every summer, and had to tie the back straps together with a dingy gray shoelace. Swim team members also had the privilege of participating in swim MEETS, and those were awesome. I was such a badass in my team speedo, prancing around jeering at the other, lesser country club swimmers. I don’t know who that quivering, sniffling fool was that you might remember from the starting block, who always came in dead last. *I* was a badass. We used to eat raw jello during the meets for extra energy and sustenance. I adore the logic behind that. The best part was that after the meet, we got candy. 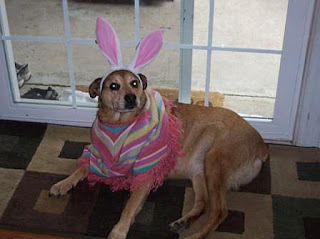 I was willing to endure just about any level of humiliation for the promise of candy. Our family had rules about eating at the club. We had a giant yellow playmate cooler that was kept in a certain spot behind the forbidden zone of the guard shack. The cooler held our lunch, although for the life of me I can’t image what my mom put in there for me to eat, because I didn’t eat anything. But none of that mattered, because at 3:00 we got to have a SNACK! Mom held the tickets, to bequeath unto us at the appointed hour, and not one minute sooner. 3:00 was a reasonable time for a snack, and if you were “hungry” before 3:00, you should have eaten your lunch and there was fruit in the cooler. At 3:00 we got our golden ticket, and the delicacies of the snack bar were ours for the asking. The decision was paralyzing, there were so many choices! But not the candy, we’re not allowed. I don’t recall that chips were an option either, but the field was still vast within the boundary of our prescribed food group: ice cream. My favorite was Italian ice, preferably one that had a big layer of slushy crystals on the bottom so I could invert it and eat that part first. Mmmmmmm. Some people were thrifty with their tickets, and could save up for a few days and buy French fries, or a few weeks and buy a whole lunch. Me? I did not inherit that gene. My ticket barely had time to grow warm and sticky in my palm before it was turned over to the equally sticky and very important goon manning the snack bar. Some days we’d pick raspberries from the field across the road and then dump sugar packets over them in a cup. Some days we’d sneak over to Spook Island. 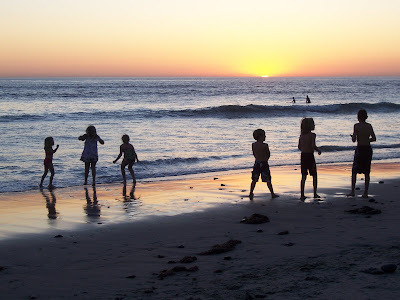 Every day was an adventure, and we kids traveled in packs to conquer the long hours. The moms had their stations around the pool, we knew where to find them if we needed them, but we rarely did. We knew the ropes at The Club, we knew everyone and everyone knew us. Our biggest problems were our peeling noses and the injustice of adult swim. You’d hardly recognize The Club anymore. It’s beautiful, and a real treat to visit now that I’m semi-civilized. But the packs of kids who begin their summer there today have a totally different kind of club. Gone are the wooden family lockers, gone are the bathing caps. Gone are the tickets and coolers and the old guard shack. There are multi million dollar homes on Spook Island. But the high dive is still there, and in another year my boy will get to try it. The kiddie pool is still there. Ew. The snack bar is still there, and last time I was home I had a chicken Caesar salad and an Amstel Light. At 12:30. And I didn’t even have to save up tickets. I just spent the last 4 hours ro-sham-bo-ing for items that I already own, or at least used to own; taking turns dividing up what used to be a unified household. It was weird, and strange, and at times intense. There were many moments I wished I were somewhere else, far, far away. I kept imagining how nice it would be to be someplace anywhere else. Somewhere I would need fabulous shoes. Okay, so maybe I’d really rather run away to Maui or Paris, or even Fort Davis, or enjoy a fine meal at a restaurant with all of the qualifications listed above, but all I could manage this weekend was Skateworld. 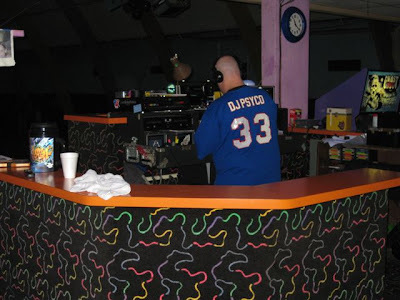 And honestly, who among us couldn’t use a little of the retro funk of a roller rink? A place where time seems to have stood still. 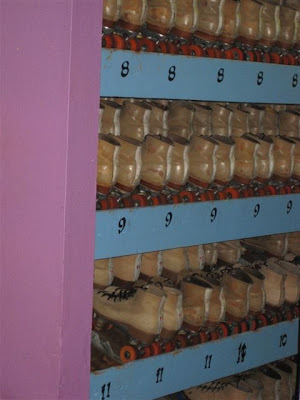 A place that brings you right back to the time that you really would have chosen a roller rink as a sweet escape. I've been packing this week. Packing up all my earthly belongings. It isn't a ton of stuff, but definitely more than Ellie packed up for her move east. While emptying out various drawers and closets I've been re-discovering all sorts of cool stuff. Mementos from other other times and places in my life; great old photos, small trinkets, concert ticket stubs, etc. 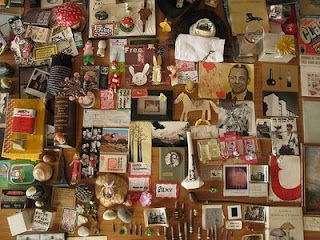 One of my favorite finds is a box of photographs and illustrations that I used to have displayed together on a bulletin board. Why did I ever take it down? I love these images. Then today I came across the "inspiration board" of J. Otto Seibold, a well-known illustrator. So, the question is, what images inspire you? We’ve got a new addition to our household. We got it from the Lovely Library Lady in New London. So now we have an oversized chair, and an undersized couch. The world’s most gigantic chair, and its wee-est sofa. Coffee table? We don’t need no stinkin’ coffee table. We’ve got the planet’s biggest ottoman. We also scored a yard sale dresser. We chipped the wall in 4 places going up the stairs, and couldn’t get it around the corners into the bedroom we wanted. What IS important, is that it’s got claw feet. Just like our our tub. And, most significantly, just like Jacquie’s beloved pooch Porgie. My nephew is famous for saying, “Aunt Ellie, look at Porgie’s claws. Aren’t they adorable?” Oh, they’re adorable. No one had more adorable claws than Porgie, godresthersoul. I mean really. Just look at that claw specimen. Now THAT is a handsome claw. And her wardrobe? Not too shabby either . . . I'm trying , Al Gore!